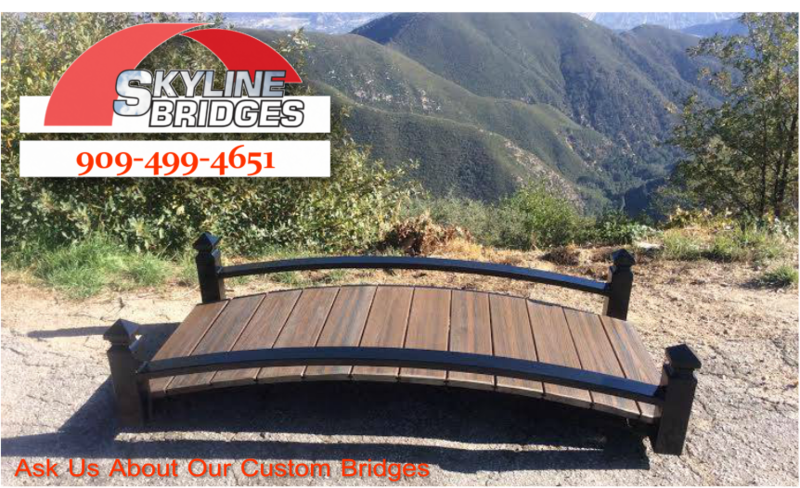 Spring is always just around the corner here in the Lake Arrowhead, Big Bear, Inland Empire, & Mountain resorts area of Southern California, and before you know it you will be outside enjoying the weather and all the wonder and excitement of your beautiful pond again, which brings us to the topic of preparing your pond for Spring and the upcoming season. 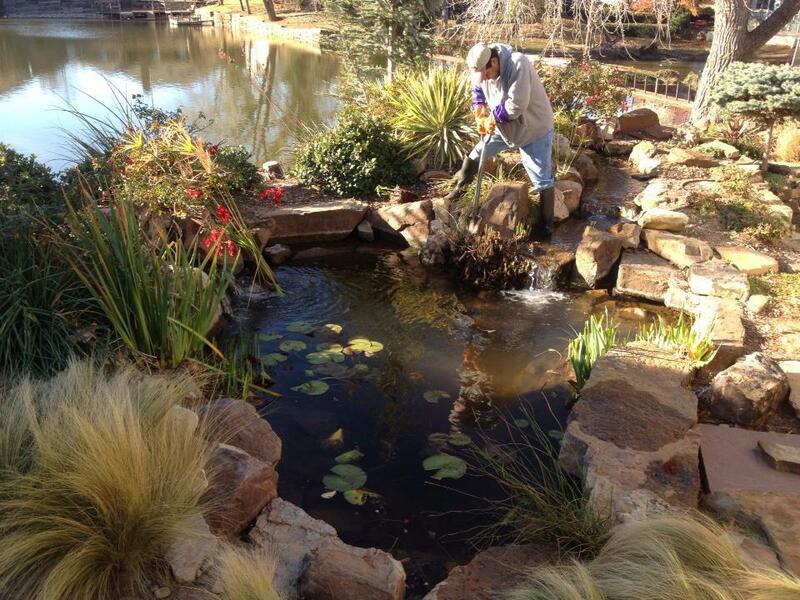 We recommend that your pond receive a full professional cleaning at least once, on occasion twice per year to help maintain its low maintenance and beautiful appearance. Failure to perform an annual clean out could result in increased maintenance or fish health issues. 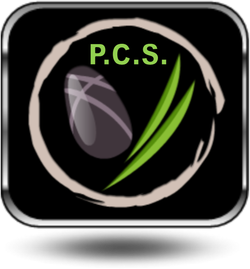 All customers receive a custom price quote for their clean out. 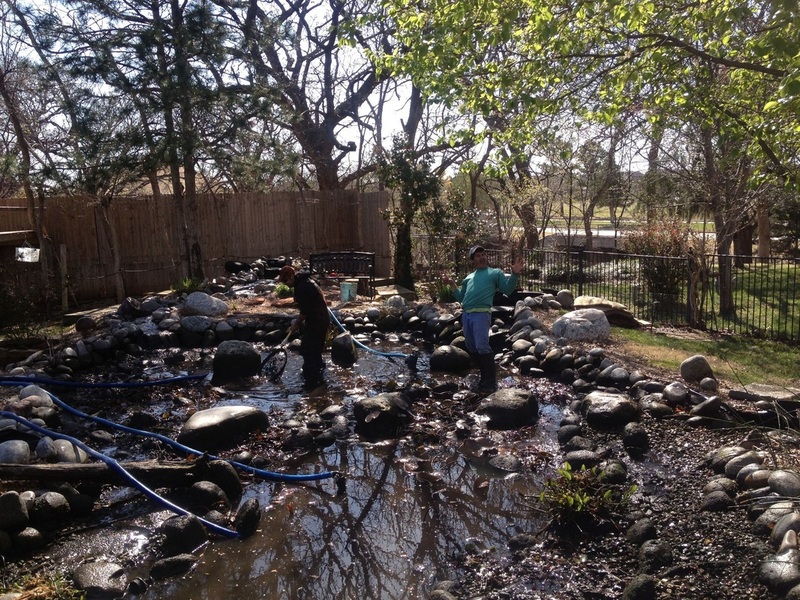 If we have serviced your pond in the past or if we installed your pond we can give you a cost for your cleaning once you have contacted us. 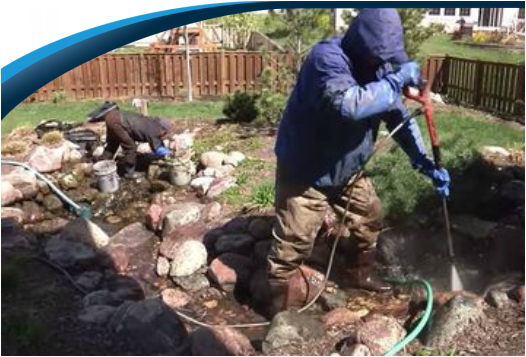 If you are a new customer we will require a Pond Profile to familiarize ourselves with your pond and to give you an accurate Spring Pond Maintenance price. If you would like to hire Skyline Ponds to perform your spring maintenance services. Please fill out the Pond Maintenance form to receive your clean out Pricing, or a Pond Profile. 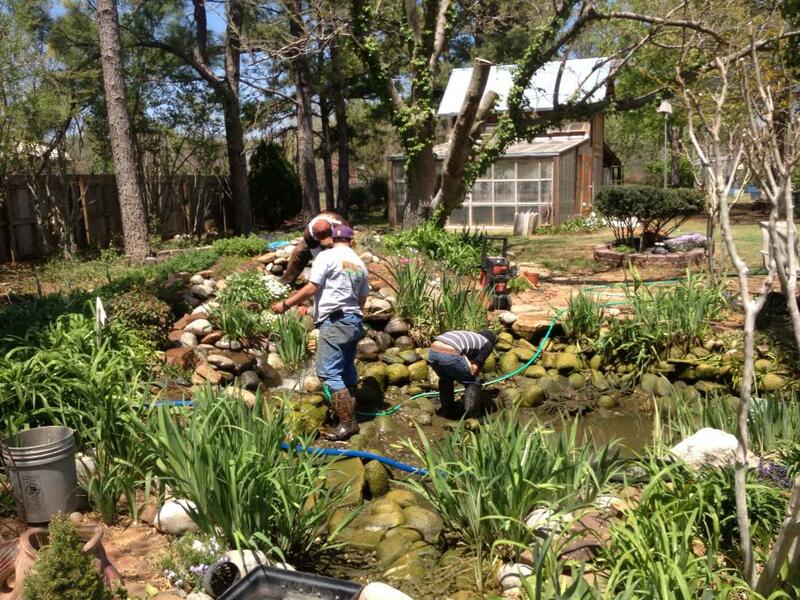 Skyline Ponds now gets down & dirty with your water feature! We will drain the water (temporarily housing the Fish if you have them). The next step is to give the water feature a quick pressure washing and rinse (we don’t want to remove every bit of the beneficial Bio-Film). 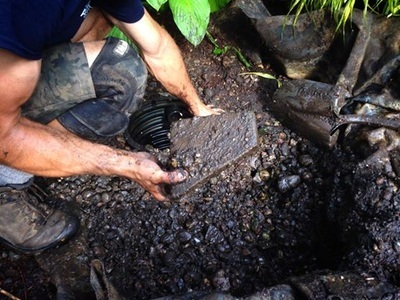 Once washed down they will trim back and fertilize aquatic plants, check and replace underwater light bulbs or fixtures, re-adjust rocks & gravel and finally install the waterfall pump. When all of this is finished, they will begin refilling the water feature (and re-introducing your fish if you have them). 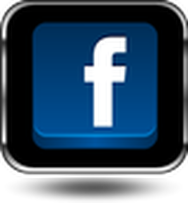 Any requested water treatment products will be left for you.